Is it safe to see the dentist while you are pregnant? There is much to think about when you are pregnant. From eating the right foods to keeping up on your exercise regime but did you know that paying attention to your mouth is just as important? 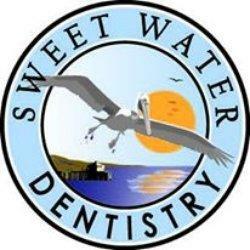 At SweetWater Dentistry we are here to help you feel comfortable and relaxed about your visit. Because poor oral health may be linked to some pregnancy complications, most doctors and dentists recommend visiting your dentist for a routine checkup at least once during your pregnancy. At SweetWater Dentistry we see women in all stages of pregnancy, it is perfectly safe. We would never risk you or your baby’s health. Dental care is considered an important part of your prenatal care. Whenever possible, it is also a good idea to have a routine checkup before conceiving so that any issues can be resolved without posing a risk to the baby. As with any other medical type treatment, let your dentist know you are pregnant before your checkup begins or when making the appointment. Dr. Greer may ask how far along you are to help determine what they feel is appropriate treatment for you. There is still some debate of whether a woman should get dental x-rays while pregnant. It is important to discus x-rays and other dental treatments with your OBGYN and dentist prior to receiving any. Work with your healthcare providers with any concerns that you have. As usual, the best treatment is prevention when it comes to oral health. Brush and floss regularly especially if you experience vomiting at any time during your pregnancy. Doing so may decrease the effects of stomach acid in your mouth. So if you are wondering if it is safe to see the dentist during your pregnancy we hope this article helped clear things up! So do not hesitate to call us with any further concerns at 251-550-7770.